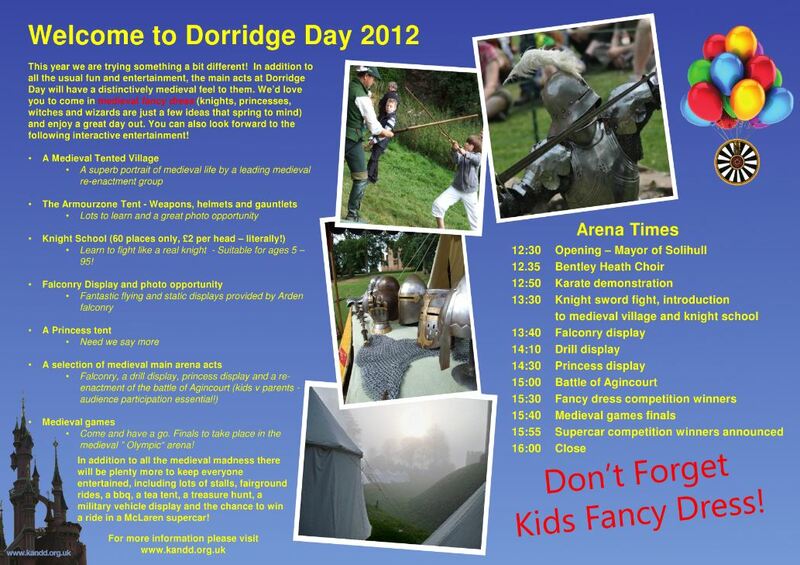 This years Dorridge Day takes place on Sunday 16th September and promises to be more exciting than ever. 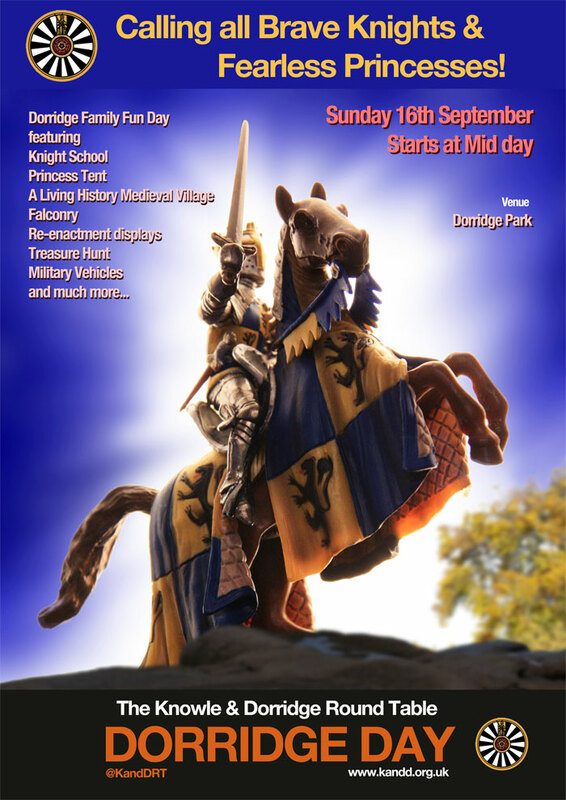 Following a medieval theme, if there are any brave Knights or Fearless Princesses in the area then this event is for you (it’s also a bunch of fun for the whole family too). We have some confirmed acts and events listed on the poster above, but we will also be working to bring even more to Dorridge Day. Please see the timetable and event list below.